Acrylic earrings are this season's hottest trend! Lightweight, beautiful & unique, they pair perfectly with leather. 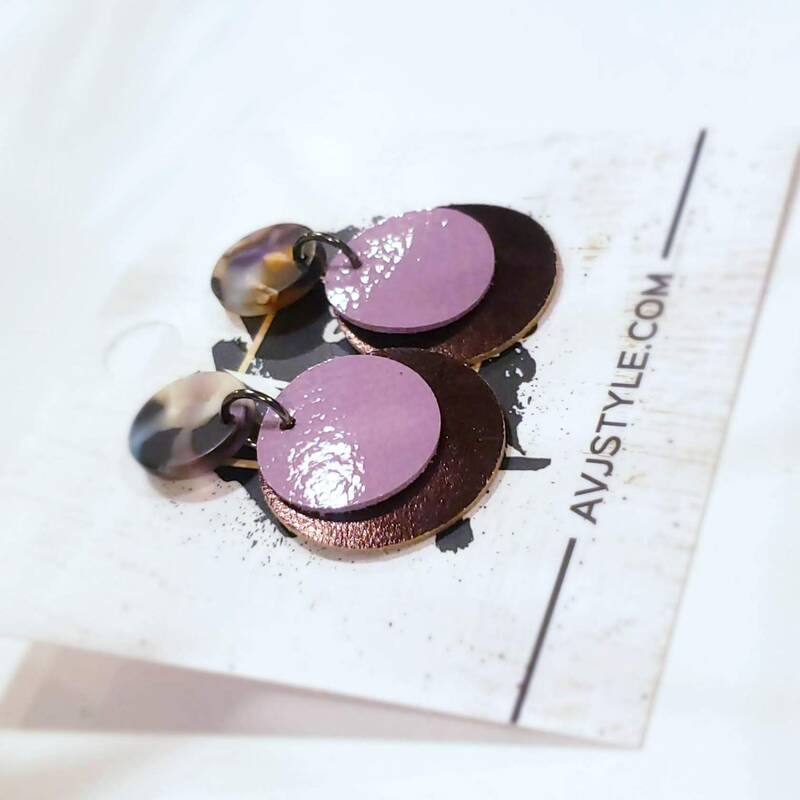 Update your wardrobe with our acrylic & leather disc earrings. They are so lightweight, flexible and comfortable you won't even remember you are wearing them. Who says comfort and fashion can't go hand in hand? 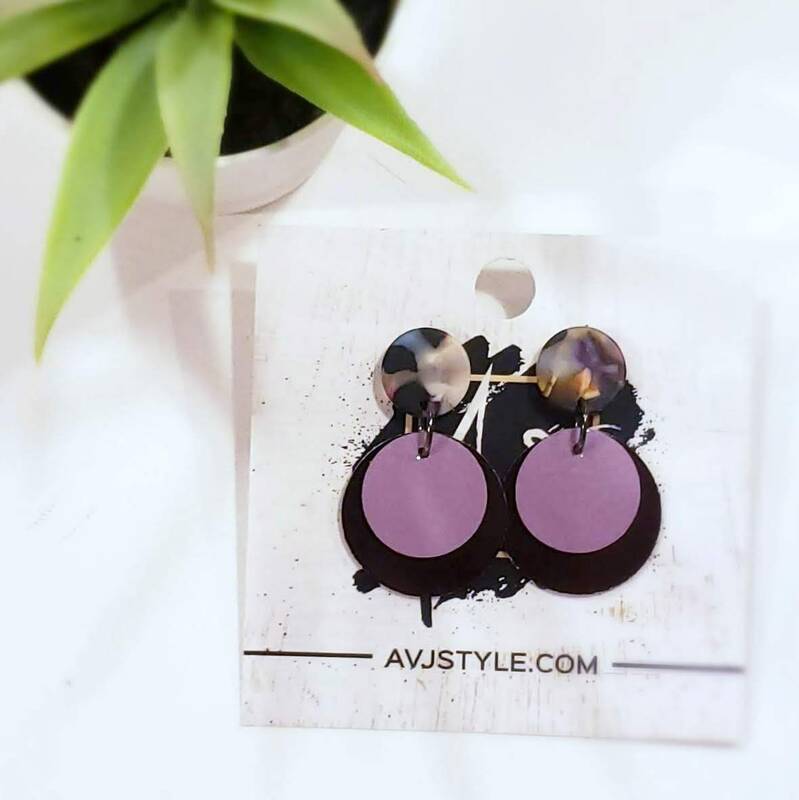 These versatile 100% genuine leather & acrylic acetate earrings are a classic disc shape that are light enough that you'll forget you're wearing them, and stylish enough to still make a statement. Easy to dress up or down and flattering to any face shape, you can’t go wrong with these beauties! 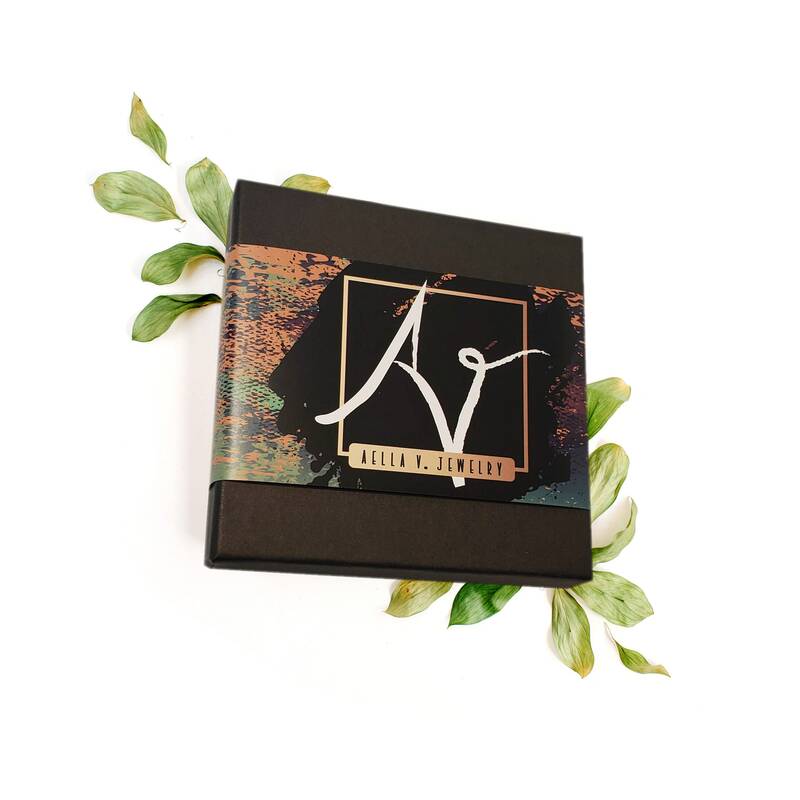 Each piece of our jewelry comes beautifully packaged and ready for gifting. Our earrings make great birthday gifts, valentine's gifts, St. Patrick’s Day, Easter, Mother's day, anniversary gifts, wedding & bridal gifts, graduation gifts, teacher gifts, best friend gifts, Christmas gifts, and many more! - Ear Wires: Hypoallergenic surgical steel posts & earring backs. - Material: Multi-colored acrylic acetate disc with purple & black accents. Irredescent lilac-colored leather disc layered over metallic eggplant leather. Earring backs are matte off-white leather. *All measurements are approximate and are taken from the top of the acrylic disc piece to the bottom of the leather disc.